adjust ya eyes to the light/ so you could see"
Had a little piece published yesterday in Slant Magazine, my fourth for their them so far, a review of Wu-Tang Clan dart-throwing extraordinaire Masta Killa's new solo album entitled Selling My Soul. An unusually slick and soulful (and very short) batch of tracks that serve largely as a promotional showcase of Masta Killa's dexterity of flow and subtly striking poetics, essentially a preview to his long-awaited full length album Loyalty is Royalty. Here's the video for the album's single, "Things Just Ain't the Same", a verbally fluid, thumping homage to NYC's burgeoning hip hop scene of the 80s. 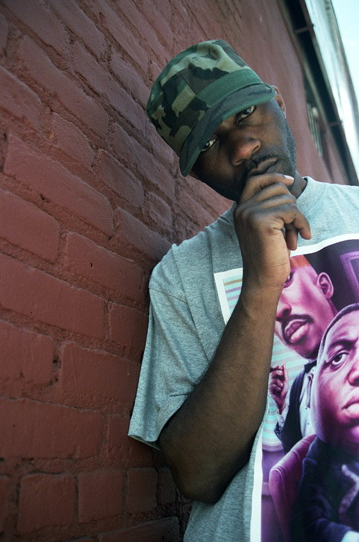 A former protege of The Gza (they were initially chess buddies before Gza encouraged MK to try to craft lyrics), Masta Killa has always been a favorite of mine. Of all the nine colorful personalities in the Wu-Tang Clan, he's definitely the most intriguing to me because of his notorious quiet, even-keeled demeanor. As the new album's film clip intro states, "he has a way of fading into the background." He was in fact the last one to join the crew, winning out on that 9th spot over a slew of massively talented emcees, among them fellow Gza student Killah Priest (one of my favorite artists of all time, an entirely unique and abundantly gifted lyricist). old scriptures on withered paper"
the air's been tested/ the people can't wait/ so ahh..
crafted and mastered in space"